Our Mission is to provide excellent indoor environmental quality in buildings and homes for little or no energy cost. How? We offer sustainable and high-efficiency HVAC systems designed with products that have been engineered to set the bar for energy recovery technology. 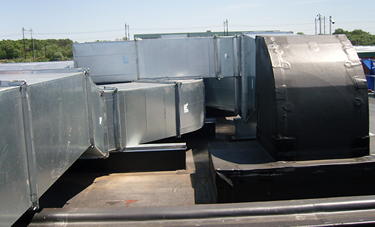 Energy recovery ventilation systems ranging from 200 cfm to 2000 cfm. These galvanized steel units are specifically sized to handle residential, small offices and dedicated ventilation applications. BPE was founded in 1997 and has over several thousand installs and is a key component to Net Zero or high-efficiency buildings. Peoples comfort and indoor air quality are improved while saving the cost of installation typically many times over a typical lifespan of 20 years. Schools, Classrooms, Call Centers, Industrial Clients are all good vertical markets. BPE serves all of North America and Latin America and other world markets. Energy Redcovery Concepts will work with clients to solve unique problems others can not address. Having been used in 140 F to -40 F weather with no failures and very little maintenance helps keep high-performance applications and building work as needed. Contact ERC Inc. today to see how we can assist you with Net Zero or high-efficiency buildings. 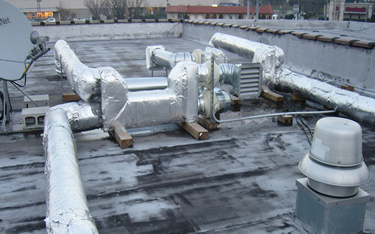 Our company works with you to provide components or complete turnkey systems with energy recovery modules, ductwork, high-efficiency fans, and controls to provide excellence in IEQ and EERs (energy efficiency ratings) that can exceed 126.1! We have engineered the high-efficiency energy recovery systems that make net zero buildings possible, and our clients find they serve their comfort needs while remaining inexpensive to own and operate. Our company is sustainable, reliable, and efficient, and we offer our products at competitive prices. The fans we provide have low pressure drops and only use 1/5 of the power of our competitors. In addition, our heat exchangers are very long with direct counter flow. Here's what just a few clients have to say about BPE, Building Performance Equipment, Inc.® products. For over 20 years Intellectual Property Insurance Services Corporation (IPSC) has maintained its reputation as the industry leader and expert in managing risk and protecting the value of companies’ intellectual property. As the original architect of intellectual property insurance, IPISC continues to pioneer advanced strategies to remain the market leader in the dynamic field of intellectual property.